Limit access to payment methods for your customers according to the membership levels the customers belong to. On checkout, a customer will see only the payment methods available for his membership. 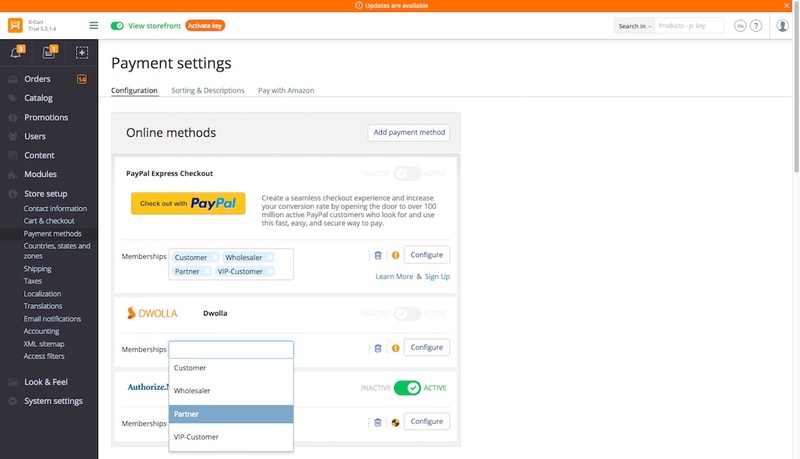 When the module is enabled, there appears an additional setting for every separate payment method set in your store. It allows the store administrator to assign memberships for each payment method.